Born in Cheltenham on 22 December 1839, he was a descendant of Nevil Maskelyne (1732-1811), the Astronomer Royal. Early in life he teamed up with George Alfred Cooke and they presented a unique entertainment of magic as 'Maskelyne & Cooke', which soon became a household name. In 1873 they presented their shows at the Egyptian Hall, Piccadilly, London, where they remained until 1904. Here they completely transformed the art of conjuring into a dramatic performance of wizardry and an entirely new concept in the performing arts, which earned the place the title of 'England's Home of Mystery'. A frequent visitor was the young Georges Méliès, who was vastly influenced by what he saw there. Some of the finest magicians of the day were among the performers, including David Devant, who was to introduce the new 'Living Photographs' as a regular feature. 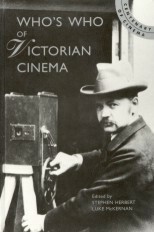 He managed to obtain a Theatrograph, one of the very first film projectors made by Robert Paul, introduced into the programme on 19 March 1896, two days before Paul himself gave his first commercial screenings at Olympia. 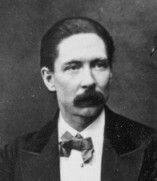 Although Maskelyne was not at first enthusiastic about including films as an adjunct to magic acts, he nevetheless soon changed his mind and personally introduced each film from the stage. He also appeared in one of Paul's early films, Maskelyne: Spinning Plates (1896). Maskelyne himself became involved in cinematographic invention. He was a clever mechanic and many of the illusions used in the peformances were created by him and constructed in his own workshops. Ideas for a film projector designed on entirely new lines began to occupy him and his son, Nevil. They wondered if the irritating flicker produced by conventional machines could be overcome by employing a continuously running film rendered optically stationary. The invention was patented on 28 May 1896 and appeared at the Egyptian Hall as the Mutagraph, featuring in a striking early film poster. Devant and the Maskelynes made their own films, and as a result of experimenting with slow-motion cinematography Nevil (the son) was later enlisted by Britain's War Office to film artillery shells in flight for purposes of analysis.